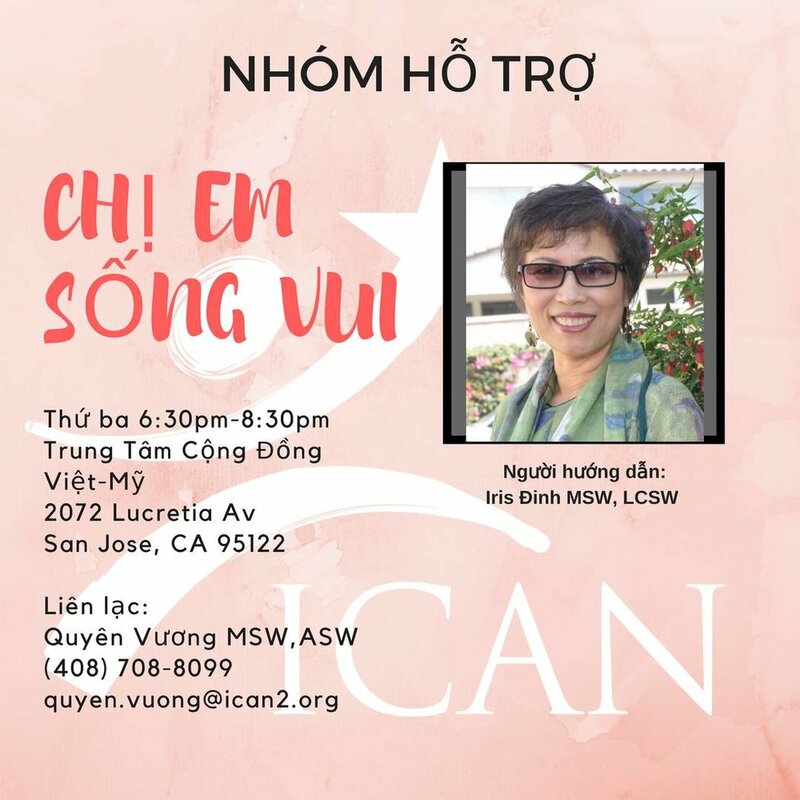 ICAN is holding its second Women's Support Group meeting this evening Tuesday, October 24th 6:30-8:30 pm at the Vietnamese American Community Center on 2072 Lucretia Ave, San Jose, CA 95122. The group will continue every Tue at this time and location. We hope this group will provide an opportunity for local women to connect and find help dealing with stress and/or depression or relationship or self improvement. Ms Iris Dinh, MSW LCSW is an amazing facilitator with many years of experience. We are grateful that Ms. NhuDiem Dang, MSW LCSW will also lend a hand as appropriate. Per participants' request, we will start the session with physical activities to be followed by candid discussion and sharing. Our goal is for people to feel refreshed physically, emotionally and mentally. Please help us share and get the word out. Thank you for your help.